for the 20-249 threshold, whether that establishment is in a covered high-hazard industry by NAICS code. The applicable employee count is the total number of employees at the individual workplace at peak employment at any point during the year, including temporary employees, seasonal workers and part time employees. During the rulemaking, OSHA considered making the requirement to submit data an enterprise-wide obligation for enterprises with a certain minimum number of establishments. OSHA rejected adopting that alternative in the final rule, however, because it determined that would be too difficult to administer based on differing corporate structures and due to the partial exemptions based on certain NAICS categories. In the final rule, OSHA does permit an enterprise or corporate office to electronically submit data on behalf of multiple establishments if it has control over the relevant recordkeeping documentation, but the obligation for which establishments must report and the data itself are still establishment-specific. 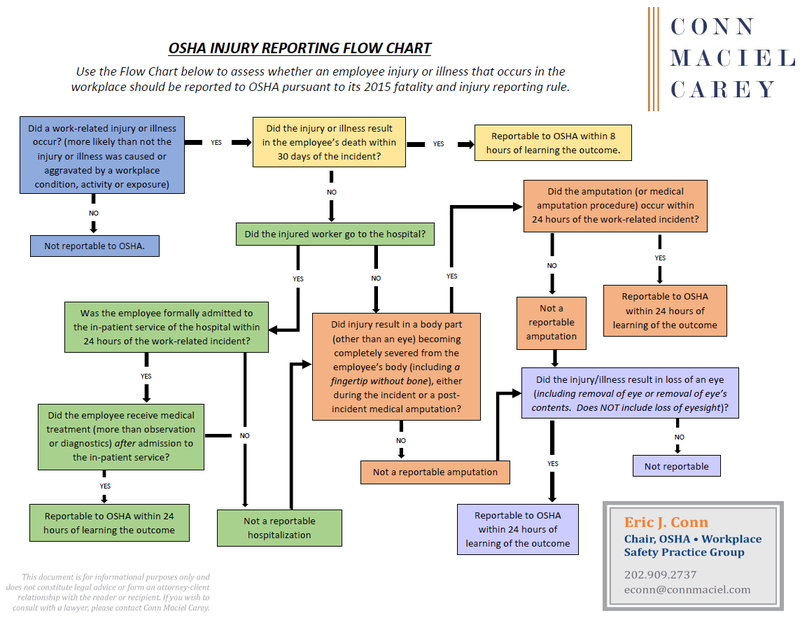 For more information about OSHA’s new recordkeeping electronic data submission rule, read our detailed article on the OSHA Defense Report blog, and join attorneys from Conn Maciel Carey’s national OSHA Practice on June 7, 2016 at 1:00 PM for a complimentary webinar: “Get the Record Straight: OSHA’s Proposed Injury and Illness Recordkeeping Rules.” Click here for more information about the webinar and to register.